Hannah Huddart was one of my great-great-great-grandmothers. She was born in Gamblesby, in the County of Cumberland, in late 1753 or early 1754 and was baptised at Addingham Parish Church in Glassonby on 3 February 1754. The Huddart family lived in Gamblesby where Hannah’s father was a farmer and Hannah lived there until she married John Smith from Melmerby in June 1777. It is through her marriage to John Smith that she became one of the Mrs Smiths in my family tree. Also due to her marriage, she moved from Gamblesby to Melmerby, a distance of about 1.5 miles (or 2.5 km). Hannah had nine children, of whom seven survived to full adulthood. Her second youngest son Joseph died at the age of thirty in 1822. The oldest surviving son William became the heir to the property of both his parents. Her third-oldest surviving son was my great-great-grandfather Lancelot Smith of Gamblesby. Aside from knowing who she married and how many children she had, I know one other thing about Hannah Huddart: according to her great-grand-daughter Agnes Nicholson, Hannah was converted to Methodism during a visit of John Wesley to Gamblesby. I believe that would have been around 1772, when Hannah was about 18 years old. Despite Hannah’s conversion, and presumably raising her children later on to become good Methodists, all of her children were baptized in the Anglican Church in Melmerby and some of them were buried in the churchyard there as well. The Methodists did not separate from the Anglican Church until after 1784. By 1795, the Methodists were legally able to conduct marriages and perform religious sacraments. The chapels were then authorized by the Methodist movement to start conducting communion services, marriages, burials and baptisms. These changes would only have happened gradually with the agreement of local chapel leaders and probably did not take effect in more remote places like the Cumberland Fells until well after 1800. As far as I know there was no Methodist chapel ever built in Melmerby. Methodists in that community would probably have gone to Gamblesby to attend chapel services. After 1808, the Methodist movement split between Wesleyan Methodists and Primitive Methodists on several issues of religious practice. 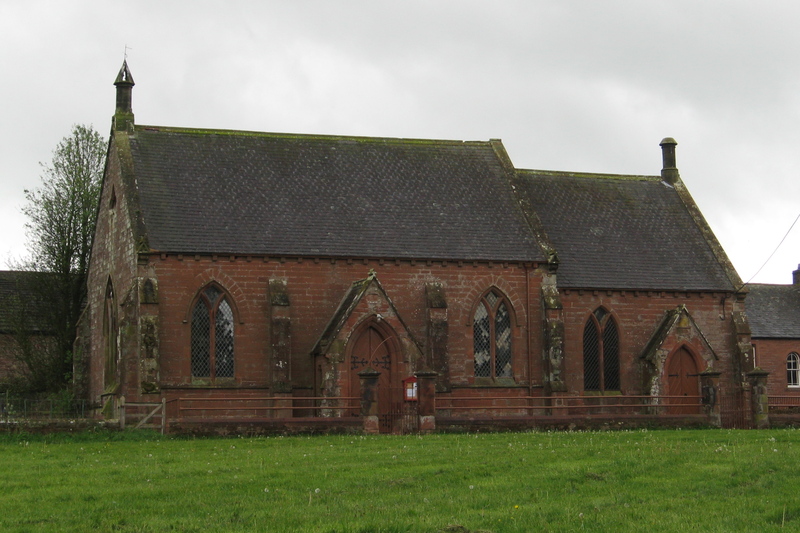 The chapel in Gamblesby remained Wesleyan Methodist. Hannah’s son Lancelot Smith of Gamblesby was a Wesleyan Methodist and raised his children in that religion (although they too were baptised in the Anglican church). Hannah’s grandson Lancelot Smith of Corballis was also a staunch Wesleyan Methodist but, by the time his children had grown up in County Dublin, the next generation had moved back to being members of the Anglican Church. The original Methodist chapel was replaced by a new chapel in 1864 and it still stands today. Looking back to Hannah’s ancestry, it has not been possible to find out much about that. From the records of Addingham Parish I found that Hannah’s father was William Huddart from Gamblesby and his father may have been called Joseph Huddart, also from Gamblesby. William Huddart was a farmer and it seems that he bequeathed at least some of his property to Hannah when he died in 1785, aged 71. I have not found any parish records for children other than Hannah whose father was William Huddart so it is possible that Hannah was his only child. Hannah died on 12 September 1831, aged 77, and she was buried in Melmerby Churchyard. In her will probated in 1832, Hannah gave all her land in Gamblesby to her oldest son William. He also got her oak kitchen table and a crook (which I take to be a shepherd’s crook). Her younger children got money: £120 each to her younger sons Thomas and Lancelot and £100 each to her three daughters. Her daughters were also given her household effects – furniture, linen and clothes. A bequest of £120 at that time would be worth about £87,500 today in terms of income. This entry was posted in Families, Gamblesby, Huddart, Melmerby, Photographs, Smith and tagged Gamblesby, Hannah Huddart, Hannah Smith, Melmerby, Methodism, Mrs Smith. Bookmark the permalink.